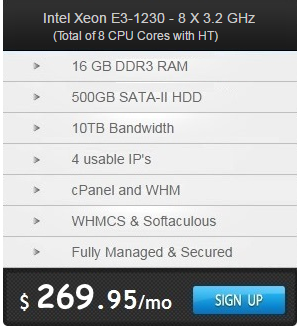 Our USA Dedicated Servers are perfect for any size of a business. High performance, fully redundant, and reliable servers to meet and exceed your business needs. We´re available 24x7 to manage, maintain, and to make sure your server is up so you can focus on your business. From single core servers with a single processor, to a fully redundant dual quad core to 16 CPU core server with hardware raid, all servers can be upgraded with additional memory, hard disk´s, processors as well as hardware raid at the point of order for a one off setup cost. We oparate multiple USA data centers in Washington DC, Seattle, Pennsylvania, Miami Florida, Los Angeles California, San Jose California, Houston - Texas and also in Dallas - Texas. With the fully managed dedicated servers we provide, our technical staff is always there to support and take care of your server giving you the ease of not having to go through server administrative processes. Check out what services we perform. At Glovio we never limit the amount of work that we do on your server. No ticket limits! No limits of software installations! No additional fees! No hidden fees! Guaranteed! If your server goes down, we will login to your server and correct any problems immediately. If your server is frozen or crashed and we are unable to login to your server, we will reboot your server from the data center. Everything is done proactively! Meaning, you will never have to worry about your server’s uptime due to server problems. You can have a good night sleep knowing that your server is safe with us. Server Performance is a key element for the success in our dedicated server client’s websites. Glovio.net understands this and has developed a complete Server Performance monitoring system to monitor your server’s performance. Our Administrative Team has kept an eye of your server’s performance at any given moment to ensure that your server is running smoothly with best performance all the time. You can access your server monitoring stats online. In addition we can arrange to send your monitoring stats to your email or mobile phone. We can install WHM/CPanel, configure default statistics programs, Softaculous, RvSkin, RvSiteBuilder, Kernel, Apache, PHP4/5, Mysql4/5, Perl, Exim, FTP, ClamAV, Mailscanner, URCHIN, ZendOptimizer, Ioncube, Zend & eAccelerator, Imagemagick w/GD, Curl, Eaccelerator, Ruby on Rails, ImageMagick, Perl modules, Spam Assassin, PostgreSQL, phpMyAdmin, phpPgAdmin, SSL Certificates, FFmpeg, PHP-FFmpeg, Mplayer, flvtool, LAME and much more! We take care of all your cPanel related technical issues. This includes pro-active cPanel updates, debugging cPanel errors, patching bugs, fixing client problems and more. In case if your server needs to be restored from the backups, we will restore all of your backups returning your server back to normal. If your server happens to crash or be hacked, we will identify the cause and rebuild your system from backups. If you are moving accounts from one server to another, we will carry out the migration for you from the old server to the new. 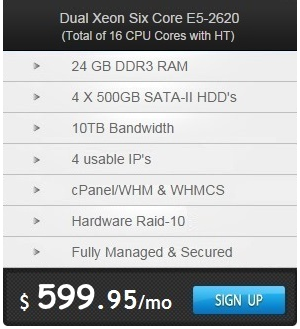 You will have root access and cPanel running on both the old server as well as the new. Our Pro-Active System Security plan covers all your server security needs. We implement the most extreme security measures to ensure your server is fully secured and hardened to prevent the serve being compromised. Our Pro-Active Server Security solution ensures your server will continuously stay up-to-date with the latest security packages available. If anything goes out- dated, we will proactively update them for you to the latest stable version. CHKRootKit - a simple program that detects hacker software and notifies you via email if any has been detected. RootKit Hunter - a scanning tool to ensure your system doesn’t have any backdoors or exploits. Securing and Upgrading of SSH Server - increases security during SSH connections. APF or CSF Firewall - most commonly used policy based on IP tables firewall (APF will be installed by default unless CSF is requested). Anti-DOS configuration for APF Firewall - helps mitigate denial of service type attacks. Brute Force Detection - notifies you of numerous login authentication failures and automatically blocks the attacker’s IP in the firewall. Firewall Admin - allows you to edit firewall, allow & deny list and configure through WHM. Mod_Security - protects against common URL based hack injections (installed upon specific requests only). Mod_Evasive - defends http based attacks (installed upon specific requests only). host.conf Hardenening – prevents DNS lookup poisoning & provides spoofing protection. nsswitch.conf Modification - secure and optimize DNS lookups. sysctl.conf Hardening - helps prevent TCP/IP stack from syn-flood attacks and other network abuses. FTP Hardening - upgrade and secure your ftp software. Shell Fork Bomb/Memory Hog Protection - prevents a user who is logged into a shell from consuming all the resources on the server. TMP Directory Hardening - helps prevent execution of malicious scripts. Secure and Optimize Apache (HTTP) - tweaks apache to perform better, and prevents unnecessary information from being easily seen. Log Analysis Software Installation - emails are dispatched daily, the amount of detail in the emails can be changed on request. System Integrity Monitor - 24x7 internal monitoring that checks all services and restart them if they are down. SPRI - changes the priority of different processes in accordance with the level of importance and thereby increasing server performance. Root Logger - logs and emails you every time someone accesses root with the timestamp and their IP address. MyTOP - tool for monitoring MySQL threads and processes. MultiTail - view multiple log files simultaneously. Password Scanner - scans for easy to guess and common passwords. Removal of Unused Software - prevents exploits and waste of resources. Removal of Old Logs - regain wasted space by deleting old archived logs. What Makes It More Special? We can install any other supported software upon request - 100% free of Charge! 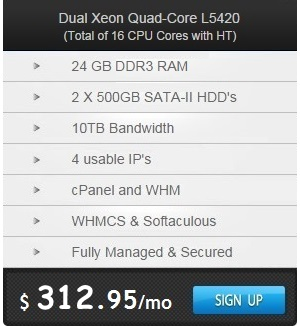 Why Choose Our USA Dedicated Server?